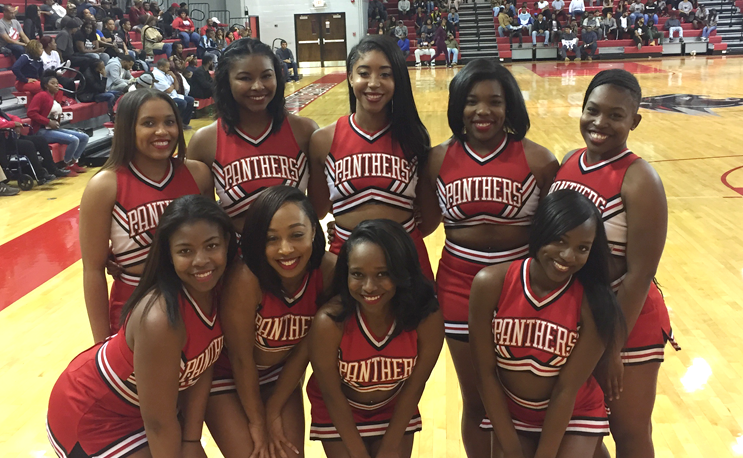 In a statement released by Alane Hickman, the Head Coach for Clark Atlanta Cheer, “battle cheers” may now be a thing of the past for the Panthers. “There is a place for healthy rivalry among competitors. However, we do not believe that rivalry is best demonstrated through “cheer battles.” We will not participate in anything that promotes divisiveness between schools,” Hickman said in the release. Is this in response, to some degree, of the viral video from the Morehouse vs CAU football game? One could safely consider that as a logical connection. The CAU cheerleaders “laid down” on the track to symbolize their “boredom” with the Morehouse cheer routine, and it quickly spread online. Many people thought it to be funny, but apparently, not everyone at CAU was laughing. But some at CAU were, seeing that the school’s official Twitter account retweeted a link from BET.com making light of the “battle” on November 9th. Maybe the humor missed the mark back on campus last week with some, but one thing is for certain, it won’t happen again anytime soon.